Swedish brand Mini Rodini organise their shop by item rather by gender. Thy specialise in bold prints, and have a clear focus on making clothes good enough to play hard in. The shorts are all the same (not weird short shorts for the girls), and the prints are on all the cuts of T-shirts. So anyone can wear hearts if they want, or go for the frilled gecko (or whatever that thing is). Super comfy, good for playing, primary colour prints. 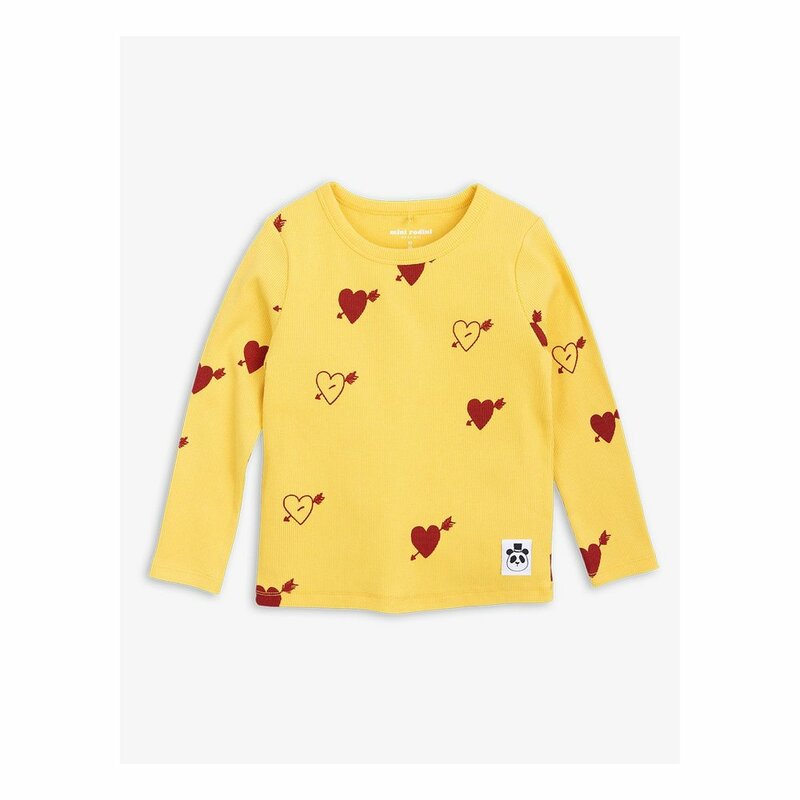 Printed using non-toxic dyes on organic cotton, these lovely things also wash and wear well. 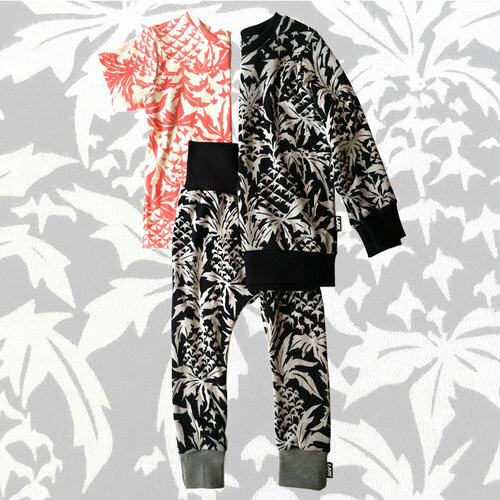 Sometimes we wish this East London brand did adult sizes (after all twinning is winning…). Now, bear with us on this one. Mothercare is one of the worst offenders for gendered clothing, but the Little Bird range is brilliant. Inspired by the clothes Jools Oliver remembers from her own childhood, the nostalgic feel and unisex cuts are right up our street. Worth braving the sea of pink and blue for. Cute and quirky prints for kids up to 7. The colourways are beautiful and who doesn’t love jazzy bananas? Shop by print, or shop by item. If monochrome’s more your thing, Lark’s small, but perfectly formed, range will have something for you. Designed with growing room and the express idea that they’ll last long enough for you to pass these on rather than chuck away. What are your top brands for unisex clothes? Tell us in the comments so we can feature them next time.